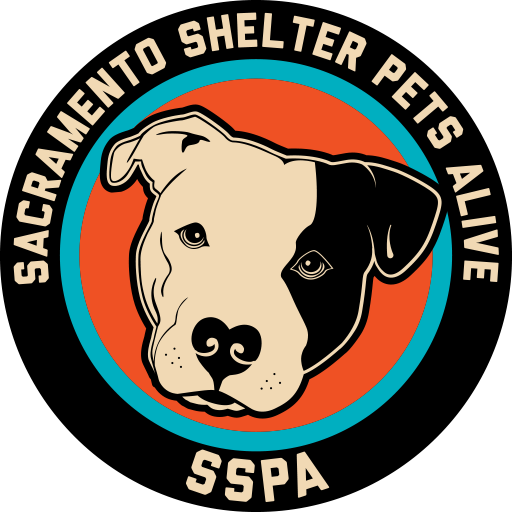 Sacramento Shelter Pets Alive is a charitable nonprofit. This site is run by SSPA (Sacramento Shelter Pets Alive) volunteers. We primarily support large-breed dogs and some small-breed dogs in need at Bradshaw Animal Shelter (Sacramento County Animal Care and Regulation). Have questions about the dogs on this site or other issues regarding SSPA? Email us at sacramentocountydogs@gmail.com. Please keep in mind that we are volunteers, not paid staff, and we generally respond within 24 hours. *Shelter Hours and adoption information can be found here. Sacramento Shelter Pets Alive is a group of volunteers and staff dedicated to bettering the lives of dogs–with a focus on large breed dogs–during their stay at the Bradshaw Animal Shelter of Sacramento, California. SSPA started originally to work with pit bull type dogs, we have broadened our efforts to help all large breed dogs. We approach every dog as an individual, with the understanding that physical appearance does not determine behavior. Our program continues to expand as we learn, grow, and find better ways to serve shelter dogs. Obedience work keeps the dogs minds busy, tires them out so they can rest in their kennels, and prepares them for their future homes. As SSPA’s founder and director, Delyse oversees all aspects of the organization. She also runs dog playgroups at the shelter, assists in the shelter’s foster program, and gets to know all of the dogs in the program to help match them with foster and adoptive homes. As if that isn’t enough to keep her busy, she writes all the bios you see on dogs pages, supports foster providers who need help, and fosters dogs herself. She is a passionate advocate for the well-being of all dogs–our very own force of nature in a SSPA tee-shirt. Sandy is a part of our behavior team, a playgroup leader and amazingly devoted foster provider who puts in extensive time each week helping run the dog playgroups at the shelter, overseeing the testing, socialization, and exercise of as many as 50 plus dogs at a time. She loves every dog and worries about each one’s well-being. Sandy is a conscientious volunteer who is always willing to do more. She takes on some of the more challenging medical and behavior foster dogs who need extra TLC in order to thrive–and she seems to always have room for one more dog. As a playgroup leader and part of our behavior team, Robert helps keep the playgroups running smoothly. Robert has been one of PBSOC’s biggest supporters, and continues to grow and gain behavioral knowledge as a lead. Robert is a devoted and passionate volunteer who puts in multiple hours weekly ensuring dogs get out of their kennels and participate in playgroups. He is also the founder of one of our largest fundraisers, Meet Your Maker. Robert puts in countless hours to make this event a huge success. Our lead photographer, Chandra, lends her awesome skills to help our dogs look their best! She is involved in all aspects of the photography process, from taking photos to processing and uploading them to our website. Great dog photos can’t happen without someone to wrangle, cajole, charm, and handle the canine subjects, and that’s where Emily lends a hand. You can often see her as the human subject in our dog portraits. Ashley King, from 2 Girls 20 Cameras, takes our fabulous playgroup photos. Kalin joined SSPA in 2014 as a dog walker and member of our Compassion in Action program. She has since been a foster provider and most recently joined our web team. As part of the SSPA media team Kalin ensures our Facebook page, Instagram and Twitter accounts are always active with informational posts. Kalin has two adopted pets, Apple pup and Sasha cat, and has a soft spot for animals of all kinds. Lysa has been with SSPA for years as a foster provider specifically mamma dogs and her pups, as well as being a dog walker and trainer. She has also been a huge help with fundraising and marketing. Right now, she’s directing her creativity toward design and has joined our social media team ensuring our Facebook, Instagram and Twitter accounts are informational and accurate. Kimberly began with SSPA after adopting Chowder in May 2017. While there she was learned about shelter playgroups, post adoption counseling and obedience classes and knew she wanted to get involved. Kimberly started with SSPA as a dog walker and playgroup runner, she now is a member of the media team and helps maintain SSPA’s Facebook, Instagram and Twitter accounts. Heather first joined SSPA as a foster provider. She is also an adopter who wants to help other families find their new family dog. She creates and maintains all the dog pages you see on our website! As if that’s not enough, she also assists with email, Facebook and Instagram, she is responsible for our website’s most popular feature, the Weekly Adoption Update! She will occasionally help out with transport and miscellaneous tasks as well! Izzy has been walking dogs at the shelter for several years. She continues to do so, and is now SSPA’s lead volunteer trainer for new volunteers. She will be one of the first people you meet when you join our volunteer team! From photographers to videographers to playgroup helpers, dog walkers, and internet support, there are many ways our volunteers enrich the lives of shelter dogs and help them have happy outcomes. Check out of some of our volunteers in action. Want to join the team? Email us at sacramentocountydogs@gmail.com. *What Kind of Dog is That?